Jordan started his writing career at 32 when he submitted his first unsolicited script to the BBC. He became a scriptwriter for BBC 1‘s Eastenders, writing almost two hundred episodes and moving up the ranks to become lead writer and series consultant, when EastEnders constantly hit audiences in excess of 20 million. 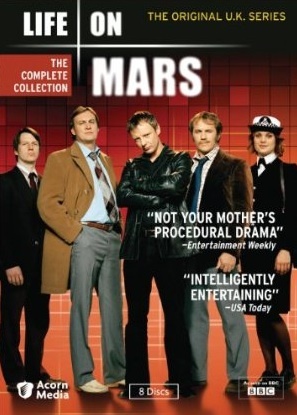 Tony has since created some of the best loved series in recent years, including Hustle and Life On Mars. He set up Red Planet Pictures in 2005 as a uniquely writer-led, creatively inspiring, drama house. It was conceived to make popular intelligent drama – the type of shows that cemented Tony’s reputation as series creator and show runner. Tony’s recent work includes zombie drama, Renaissance starring Kelly Brook and Alan Dale, as well as the critically acclaimed The Nativity starring Peter Capaldi. Tony’s latest series is By Any Means, a gripping and edgy post-watershed drama about playing criminals at their own game. Tony is a champion of new writing via his Red Planet Prize and one of the most personable writers in the business today. 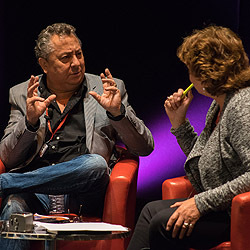 In this session he sits down with equally personable Producer Nik Powell in what’s sure to be one of the most enjoyable and memorable sessions of the festival.